First released in February 2016. Keg and bottle (330ml). 330ml bottle. Murky, dark maber colour with small, creamy, half-way lasting, moderately lacing, off-white head. Piney, fruity, minimally citrusy and grassy hoppy aroma, notes of pineapple, grapefruit, hay. Taste is piney, citrusy and grassy hoppy, notes of lemon, grass, hay, some pineapple, chlorophyll. Nicely dirty IPA. 26-JAN-2017, draft @Bootleggers Craft Bar. Very hazy orange with a lasting, creamy, lacing, White head. Very fruity with peach and citrus. Hardly bitter. Sweet, creamy. Wonderfull. Tap. Pours hazy yellow with lazing white head. 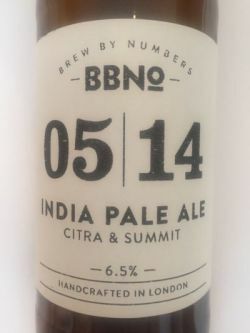 Aroma has light malt, some sweetness and very fruity hoppiness with mango, pineapple, citrus and pine. Taste is semi-sweet malty with biscuit and hoppy with citrus, tropical fruits, mango and pine. Finish is balanced sweet and hoppy. Draft @ Himmeriget, Copenhagen. Pours a hazy golden pale orange color with a small white head. Has a fruity malty citrus hoppy aroma. Fruity malty citrus hoppy weak grassy flavor. Has a fruity malty citrus hoppy finish. Draft. A hazy golden red beer with a lazing white head. The aroma has notes of lemons, straw, hops, and a bit of malt. The flavor is sweet with notes of fruit, hops, hay, citrus fruits, and a bit of spice, leading to a bitter finish. [email protected], Copenhagen - orange pour with white head. Fruity and malty with some tangerine and mango hits, a sweet malty base with some caramel, hoppy bitter finish. Bottle from Beer Gonzo. Muddy brown body with a small off-white head. Good lacing. Aroma of tea, lemon cream and pineapple. Flavour of lime, orange pith and spring onion. Medium body with a creamy mouthfeel. Soft fizz. Very tangy and a little sweet. It’s pretty good but I don’t like the oniony notes from the Summit hops. Draught @ Mbargo. Hazy orange. Very fruity. Juicy mouthfeel. Notes of citrus, melon and pineapple. Superbe en growler. Nez très riche : citron et orange, quelques notes de mangues et ananas. Tout petit fond résineux. La bouche montre un peu de corps, beaucoup de houblons qui se concentre sur les agrumes et le résineux qui s’équilibrent bien.